The Nokia 3.1 Plus is a very budget-friendly smartphone with camera specs that should please most everyday shooters who don't want to spend a fortune on a smart device. 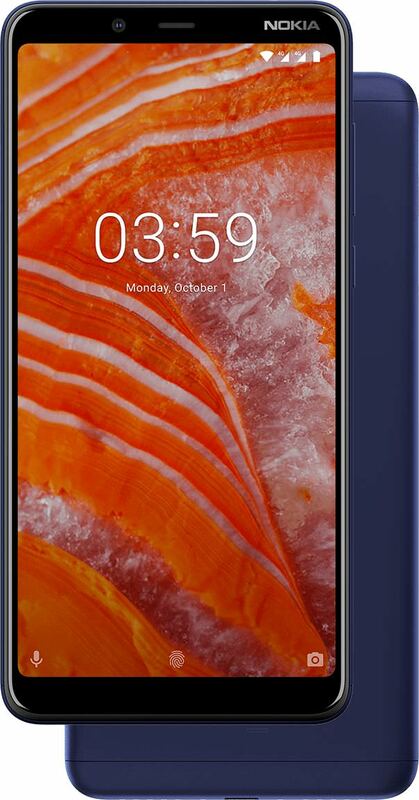 Those looking for a smartphone that's inexpensive but still has decent specs might want to take a look at the Nokia 3.1 Plus which is only priced at £169.99. The Nokia 3.1 Plus has a 6-inch HD+ display, dual rear camera (13MP, f/2.0 & 5MP, f/2.8), 8MP, f/2.2 front-facing camera and is the latest Nokia device to join the Android One family. Of course, the price point means some savings have to be made and an area this seems to be apparent is RAM (2/3GB) and internal storage (16/32GB). Battery size (3500mAH) is also smaller than some other smartphones and the charging port isn't USB-C (Nokia Micro USB) which is a bit annoying. Although, a headphone jack is built in and you can expand the smartphone's memory with a MicroSD card. Even though the Nokia 3.1 Plus is priced at well under £200, the design doesn't look like it is with an aluminium back and a matt finish. There's no top notch (some like this, some don't - it's down to personal choice) and from the images, the bezels don't look too big but we'll be able to judge this better when we get the Nokia 3.1 Plus in for review. As well as the Nokia 3.1 Plus, Nokia has also released the Nokia 8.1 Plus, priced at £379.99, with ZEISS optics, decent camera specs and a big screen.